MAKE MOVES 10 feat. Pete Muller, singer, songwriter, pianist, surfer, quant hedge fund legend, trailrunner crossword puzzle creator, poker player. Is there anything this guy can’t do? Full interview on iTunes here https://goo.gl/5tWYOx or stream it online http://goo.gl/cwfjCK. Pete talks with John about his newest album Two Truths and a Lie, solving problems from a place of relaxation, busking in the subway, running a hedge fund, philanthropy, creating passion fueled virtuous cycles of motivation and dedication, and some helpful advice he once got — “just follow the energy.” This episode is full of provocative tidbits from a very unique guy. 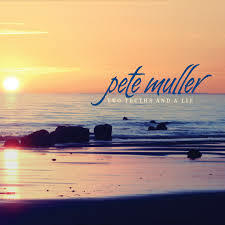 With permission of Pete Muller Music this episode features a bit of the song Deeper off of Pete’s recent album Two Truths and a Lie. You can pick up that album on iTunes or Amazon. Make sure to connect with Pete on Facebook and Twitter . Also, swing by Pete’s website to learn about All-Things-Pete. His Press Page has links to articles about him in Forbes, NY Times Magazine, Psychology Today, etc. Good stuff.